I remember being a young girl and painting yellow flowers from a small bouquet beside my mother in her dusty studio. I remember the heat rising in my little body as each stroke of my brush took me further from the perfection of the flowers before me. My painting did not resemble what I was seeing and this was failure. I remember storming away from my childish painting, defeated in my attempts to translate reality onto that small piece of wood. I didn’t paint for many years after that day. My perfectionism got the better of me and creating wasn’t worth it. My taste was too good and my skill too weak. And I did - I went for it. I painted through my desire for control, through my beliefs around beautiful and ugly, outstanding and mediocre. Through practice, it stopped being about the destination, the finished piece and started to become about the process - about this very moment. The contact of brush on canvas; the colors and tones that delight me; the sensations in my body as I create. Now I play in this open realm of creation as much as possible. Letting the sounds that emerge inform the song that I write. Letting the feelings in my heart inspire the message that I carry. I intend to match my outer expressions with my inner world. This space of creation isn't autopilot for me yet. I still censor and restrict myself plenty, but as my mentors, Gay and Katie Hendricks teach, it is about committing and re-committing over and over again. From the recognition of how free I am, I commit to make space in my life for the spontaneous. To meet what arises with wonder and to favor the opening with courage. I warmly remember what my mother once told me, “if you want freedom, then a master plan is the antithesis." This is the very painting that inspired this entry. 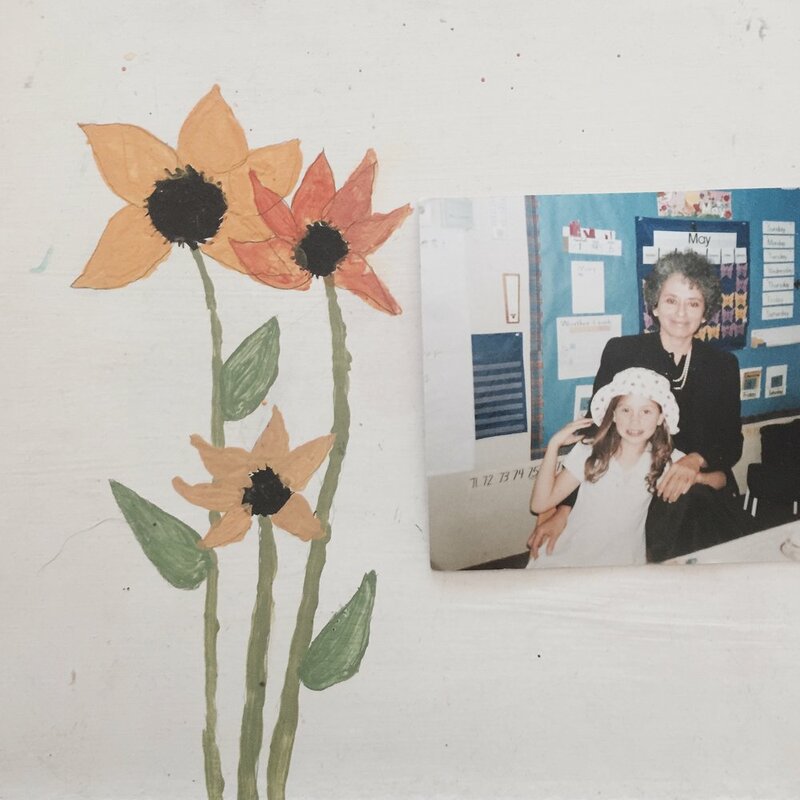 The photo is of my mother and I from around the same time that I painted the flowers.